Manchester United edged past West Ham United on Saturday in the Premier League at Old Trafford to stay in the top four race. The Red Devils are now at the fifth position in the League Table of the Premier League. They are still 2 points behind the fourth placed Chelsea side. It was a really important match for the Red Devils as Ole Gunnar Solskjaer had to rotate his side a bit to keep all the players fit for the match against Barcelona at Camp Nou on Tuesday in the Champions League. On the other hand, the top four race is getting intensified day by day. So, a win was much needed for the Red Devils to stay in the top four race. Manchester United were not in their best of form in this match. 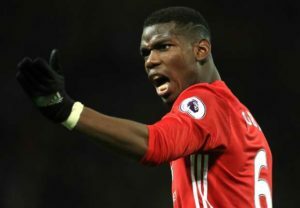 However, they got the much awaited lead in the first half of the match with a goal of Paul Pogba. The Frenchman successfully converted from the spot. The first half ended with a scoreline of 1-0 in favour of the Red Devils. Felipe Anderson equalised the scoreline for the Hammers at the beginning of the second half. However, again a goal of Paul Pogba from the spot secured the win for the Red Devils in this match.